South Adelaide fell three points short of Glenelg in their Indigenous Round clash at Gliderol Stadium on Saturday afternoon. The Panthers were not able to overcome a fast start from the Tigers and left their run far too late as they succumbed to a disappointing 9.9 (63) to 10.6 (66) defeat. Blustery conditions made the going tough for both sides, with only one goal scored at the northern end all afternoon and the breeze heavily influencing both sides skills by hand and foot. However, it was Glenelg that adjusted to the conditions best and Josh Scott's strong mark and swinging finish against the wind in the final quarter would be the straw that broke the camels back. The Panthers made a late charge, with goals to Joel Cross - celebrating his 150th game - and Nick Liddle early in the final term breathing some life into the game. American ruckman Alex Aurrichio took two strong clunks and kicked truly to cut the lead to nine before young forward Nathan Kreuger won a free kick in the dying stages. However, the siren would sound as Kreuger lined up for goal and his accurate finish would prove irrelevant to the final result, as Scott's earlier finish against the breeze would ultimately prove the difference. Cross was his inspirational determined self in his milestone game, amassing 28 touches and winning 11 clearances in the clinches. Meanwhile, Abe Davis (team-high 29 possessions) and Liddle's (27 and a goal) endeavour could not be questioned throughout the afternoon. However, South had too many passengers on the day as 11 Panthers registered less than 10 touches.. Despite lining up with two genuine ruckman and controlling the hit outs 68-33 the Panthers were not able to win the battle around the stoppages. The Tigers won 40 clearances to 37 and the overall possession count 314-257 as they controlled the play with hard running and accurate passing, claiming 76 marks to 47. Overall it was a disappointing result for Jarrad Wright's men, who have now lost three in a row and sit only a game ahead of sixth-placed West Adelaide who knocked off Central District by 31 points on the same day. The Panthers must now regroup ahead of a crucial clash with North Adelaide at Hickinbotham Oval from 2:20pm Saturday, July 21. 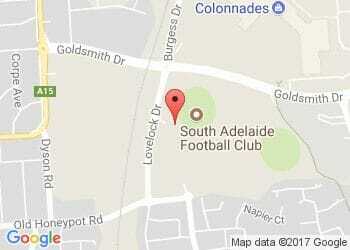 Never miss a minute of the action with a South Adelaide Digital Pass!